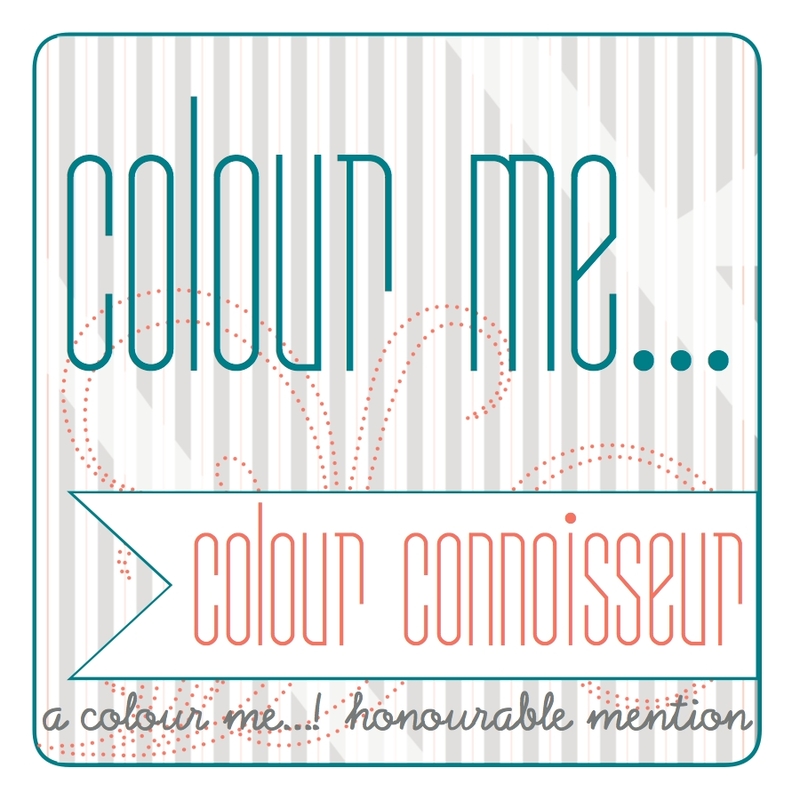 Sugarbea And Her Colours: 15th Anniversary Sale at Purple Onion Design! 15th Anniversary Sale at Purple Onion Design! Yay! It's time of the year again for the anniversary sale at Purple Onion Designs! 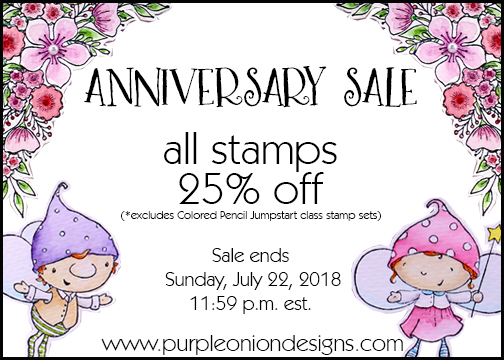 It's already 15 years since Purple Onion Designs begin and I'm very glad to be a part of the design team, having the privilege to work with all the beautiful stamps available. The sale begins today and will end at 22 July 2018 with 25% off for all stamps including the ones at the sales category. 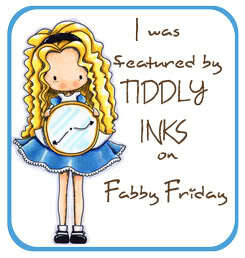 If there's any stamps that you have been eyeing on for some time now is the best chance to make purchase! And to start off the celebration, here is birthday card I made with one the stamps from the latest collection ~ Spread Kindness. Stamps used: Floral spray, Kindness sentiment. I was totally excited to work with Floral spray as I've never made any projects with floral stamps. The floral spray has to be the main focus of the card and so I try my best to keep the rest of the design on the card to be subtle and simple. I'm lucky to own a Brother ScanNcut machine so I let the machine do the "fussy" cutting part. I coloured floral spray with Copic markers. For the background, I blended some distress inks in mustard seed, squeezed lemon and dried marigold with a ink blender. I also did some random ink splats using a small hard brush with some shimmer ink from the Finetec pearl colours ink palette. To give it an extra shine, I picked some gold sequins and place them at each side of the card and the card is complete! I hope you like what I have shared (: I used to have fears working with floral themed stamps so most of the time I'll just stick to what I'm most comfortable with. However I really love how this birthday card turned out :) One lesson I've learnt from crafting is ~ if you don't try you'll never know! Alright that's all for today! Don't forget to check out Purple Onion Designs blog for more details of the sales and be inspired by all the beautiful projects created by the design team! Be sure to check back again in a few day's time as I'll be sharing another card soon!